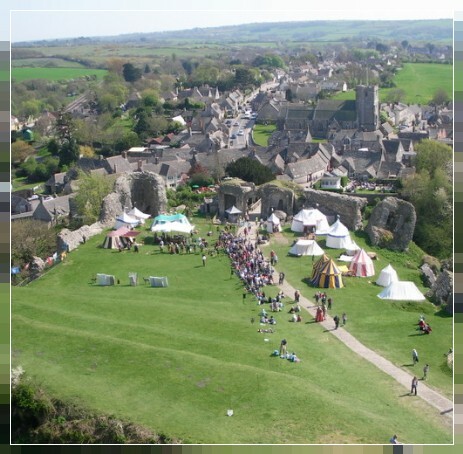 Living history and medieval educational entertainment are the main elements at our events. 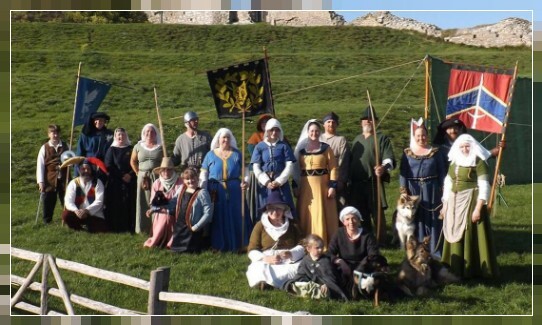 Wolfshead Bowmen Events Group is a medieval archery group, maintaining and preserving the skills of the medieval English longbowmen and medieval life in general. Entertaining talks and demonstrations can be tailored to your requirements, as can the main event of our day, the archery demonstration. This can be the Grand Archery Muster. This fully commentated show puts our archers through the tests and disciplines required to join the King’s Army. As well as the longbows we also demonstrate the power of various other weapons such as the crossbow and the Ballista siege crossbow. Demonstrations of broadsword, war hammer or quarterstaff are optional. In ‘Dangerous to Delicious’ our main show is different. This is also a fully commentated show and our archers will demonstrate the skills required for hunting with the longbow. At the end of the show as well as during the day the public are invited to try their hand at archery with our one-to-one instruction. Our main show, our crafts accompanied by in-depth talks on a variety of Medieval subjects, make Wolfshead Bowmen the ideal choice for your venue. 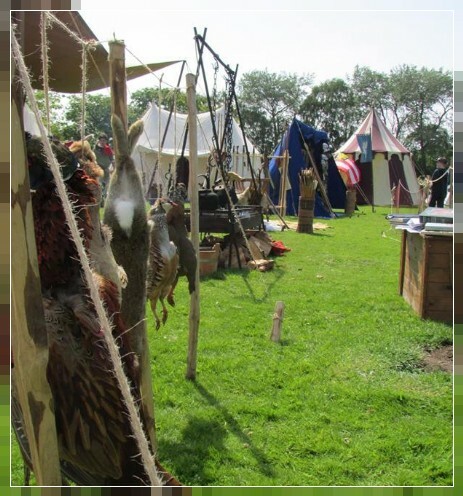 The aim of our Events group is to recreate and demonstrate medieval life within a tented encampement. 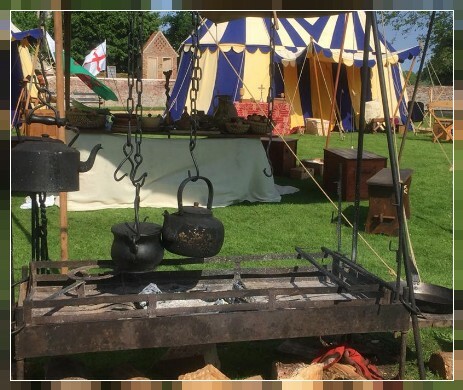 Period recipes prepared and then cooked on a raised fire, along with combat and practice with various weapons, can all be seen in the encampment throughout the day. Crafts from making tent pegs or weaving to forging arrowheads and repairing weaponry are just a few of the examples that Wolfshead Bowmen can offer. All members of our Events Group are approachable and have a wide range of knowledge on medieval topics. As a group we aim to be as interactive with the public as we can. Wolfshead Bowmen want our family audience to have an entertaining, educational and fun day out!